Sometimes clowns are supposed to be sad, but not all of them should be. Have you ever had a situation when you got all dressed up as a slap happy clown ready to head out and put smiles on everybody’s faces with your dopey smile, and bright eyes? Then you step outside and it starts to rain, too bad your umbrella doesn’t work right because it’s part of your comedy act, and of course your clown car is in the shop because the shocks couldn’t handle the weight of all thirteen clowns in one car. By the time you get downtown, you’re definitely not looking like a happy clown anymore. You might even look a little scary with all the makeup running down your face. Our dear clowns, we have heard your cries of anguish and defeat! We have sounded the great honking noses to call for aid, and at last, aid has come! 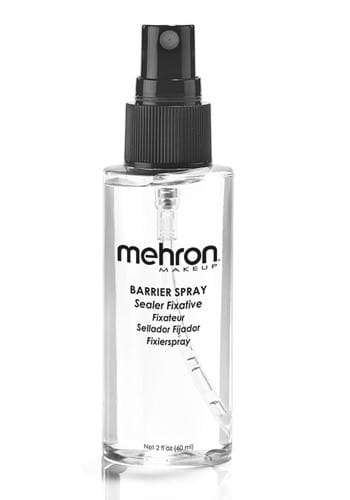 Spray this glorious solution of magic upon your faces, and not only will it hold your makeup for longer, but it will make it water resistant as well! Not a clown? This magic is powerful enough to work with any makeup theme! Even the scary ones!